Comedy legend Melvin Kaminsky marked his 91st birthday this week. To me, he is a hero and an icon. To most of you, he is simply Mel Brooks. My introduction to the movies of Mel came sometime in the late 1980s. I had recently seen Star Wars and various Star Trek reruns (and the newly syndicated Star Trek: The Next Generation) could be seen on TV in my house at any given time depending on who held the remote. One day the channel surfing stopped on some scene where a goofy looking Darth Vader-y character was doing something silly. It made me laugh. Later on I saw that same character fight some guy in a knockoff lightsaber duel, and laughed riotously. What the heck was I watching? I understand that humor is and always will be subjective. What is funny for one is not necessarily funny for all. But Spaceballs is just such a cut above the rest. Or so I thought. Once my dad saw that I was enjoying Spaceballs, it wasn't too long until I saw Young Frankenstein. Again, humor that was a cut above. In time, I've seen all but two of Mel's movies. The best four, in no particular order, are Blazing Saddles (a movie that would make many, many, many easily offended people very, very, very offended), Spaceballs, Young Frankenstein, and History of the World Part I. Others, like High Anxiety (very good), Robin Hood: Men in Tights (good), Silent Movie (excellent), and Dracula: Dead and Loving It (his worst, but still with a few good Mel moments), provided plenty of laughs. 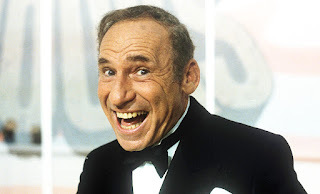 As I became a Mel Brooks fan, I learned how he was a writer on Your Show of Shows, and I watched a few specials about the old comedic routines that crazy cast of characters pulled off. I also recall how one time, around 1993, when audio cassettes were still being sold, my family and I were out shopping and my parents were excited to find a tape of the 2013 Year Old Man, starring Mel Brooks and Carl Reiner. It went right in the tape deck of the car and we listened to it on the way home. It was the fastest trip ever, because we were all laughing. 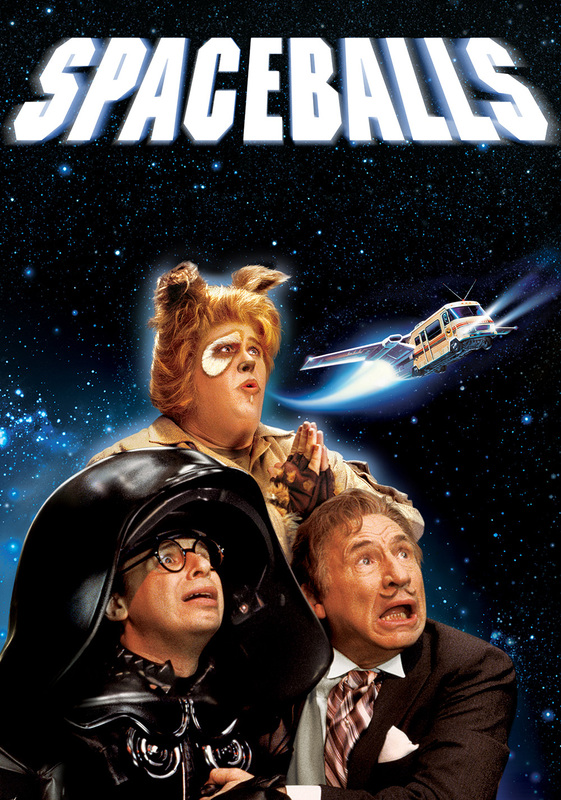 Yet through it all, Spaceballs has remained my favorite Mel Brooks film. It is tough to describe why, but perhaps a midnight movie had something to do with it. I bought tickets at the movie theater in Olean, and that night my brother and I left the house and arrived early, expecting a crowd. It may have just been Olean, but it was Star Wars, a franchise that has spawned a recognized religion in Australia (Jedi Knight). We wanted to be sure we would have good seats. Sure enough, we were so early that we were the first two people actually in the theater. Eventually, as you can probably imagine, the place filled up. A classmate of mine actually bought popcorn for my brother and I because we saved his seats while he and some of his friends were tailgating - yes, tailgating - in the parking lot. For Star Wars. By about 11:45 the place was packed, the only stray seats left belonging to people making one last trip to the restroom or the snackbar. Moments before the house lights dimmed for the previews, a guy several rows behind my brother and I blurted out something random and dumb. Seconds later he did it again. Then he announced to everyone in the theater: "I've been drinking a little...I may yell during the movie, too!" This brought about a mostly jovial response. As most who have been to midnight movies can attest, the crowds are normally pretty boisterous and they are there because they want to have a good time. If anyone minded the happy buffoon behind me, they didn't say anything. Finally, the loudmouth yelled out a movie quote instantly recognizable to anyone who had seen Spaceballs more than once. And he yelled it in perfect Dark Helmet voice. "Fire a warning shot across her nose!" Now, by that time in my life, and my brother's life, we had seen Spaceballs countless times. We could recite it to you. We still can. There are certain movies that stick with you, and that's one of them. So while some people laughed at the line uttered behind us, my brother decided to speak up and continue the scene. "Careful you idiot! I said across her nose, not up it!" I laughed, and so did the person next to me. What happened in the moments to follow remains to most hysterical, unplanned, improvisational thing I have ever been a part of, as someone else in a different part of the theater took the next line. "Sorry, sir! I'm doing my best!" And then someone else spoke up from down in front. "Who made that man a gunner?" And then across the way. "I did, sir. He's my cousin." And, well, I'd continue the scene, but those of you who have seen the movie should know how it goes from there. The point is, someone different took a different line until the final part of the scene when Dark Helmet says, "How many (Smiths) we got on this ship anyhow?" I like to tell people we were a flash mob before people knew what a flash mob was. A few seconds later the previews began. I don't remember any of them. Then the movie came on the screen, and aside from a pretty cool fight at the end, it was disappointing, and that's putting it kindly. So why tell this story now? For a few reasons. First, to pay homage to the everlasting know-it-all, Yogurt, who is one with the Schwartz. Second, to show that midnight movies can be fun. And finally, to express hope that a movie nine months out provides a similar memory. 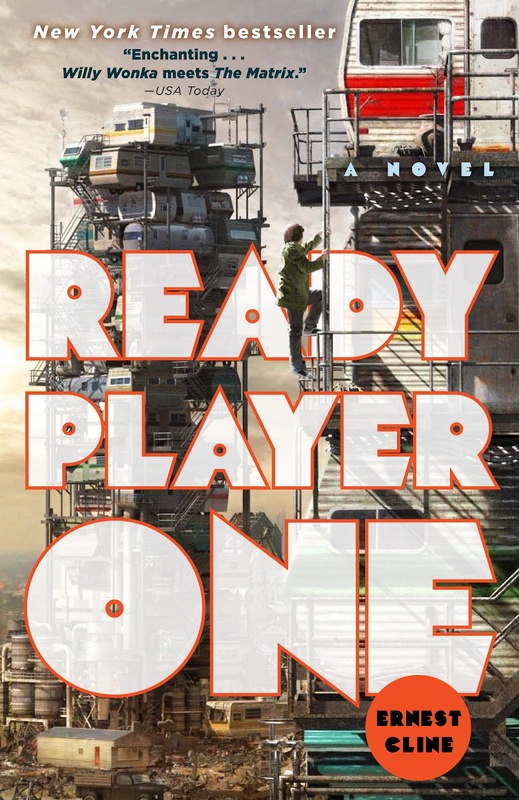 That movie is based on the novel Ready Player One, and bears the same name. I read the book a year or so ago and have not been able to get it out of my head. It was so amazing, as the pop culture references were so nostalgic and spot on that I found myself cheering out loud at different parts of the story, and laughing out loud at others. The movie adaptation is supposed to hit theaters in March. Steven Spielberg is attached to it, and he is due for a hit. 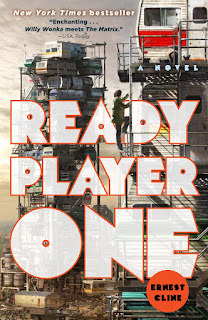 So as I was wondering about what to write about for this weekend, I found myself wishing for another movie theater moment, and hopeful that a midnight show would be available for Ready Player One in March. The story takes place in 2044, and mostly in a virtual reality setting. The potential for the movie is grand, and depending on where you look on various social media platforms and pages, the hype and expectation level is only getting more intense. I have even convinced myself that the movie, if done right, has the potential to push filmmaking ahead in the area of virtual reality much along the same lines as Toy Story did for animation. And I know I am not alone in my excitement. Should there be a midnight show available, there will surely be a crowd. It will be excited, and it will be cheerful, and it will be likely a bit nervous about a movie adaptation of a beloved book. I will be all of those things. And I will surely want to be there, hoping to be watching something special. But until then, I'll just read the book again. Because it is that good. Howie Balaban thinks Mel Brooks should co-host Saturday Night Live this fall with Betty White and Carl Reiner. He also can't wait to read the next book from Ernest Cline.